Website design and development for Modern Farmer magazine, a lifestyle editorial making connections between what we eat, how we live and the planet. The Modern Farmer website was built on WordPress, using PageLines. The WordPress-PageLines framework allowed us to create a flexible and modular system enabling editors to choose template layouts according to the content. 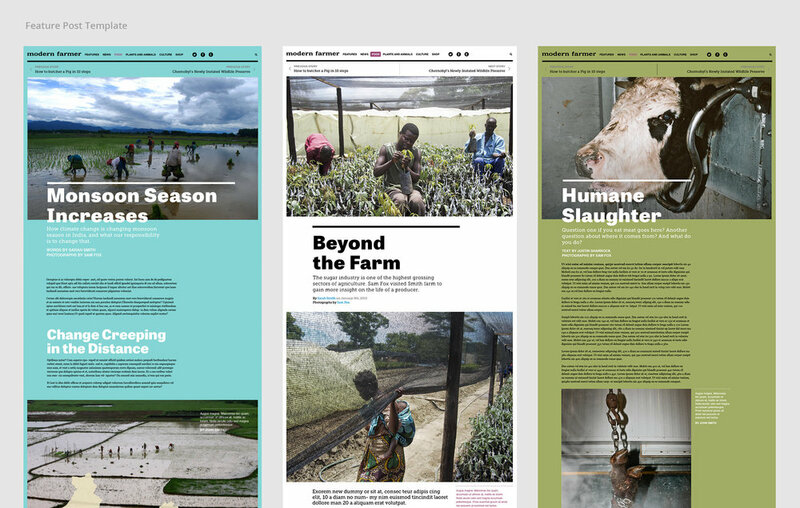 Customization features through shortcodes and templates gave Modern Farmer editors the ability to make each story a unique experience.